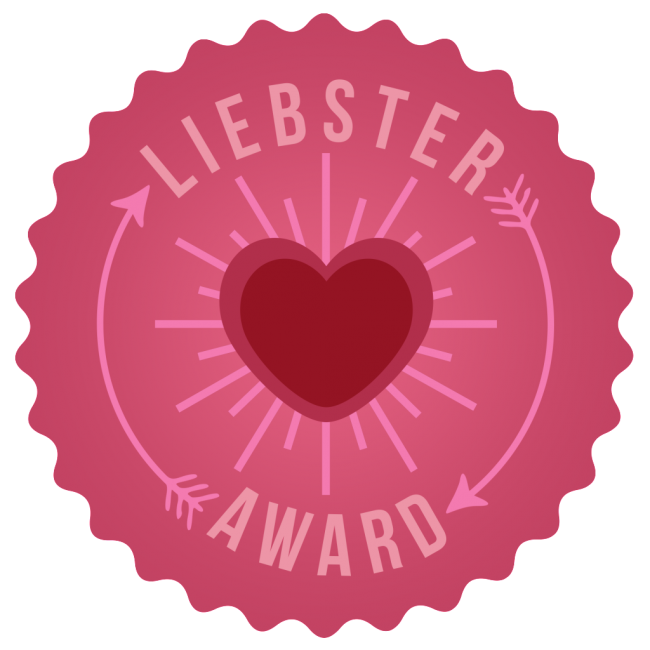 So I am finally getting around to completing my Liebster Awards! 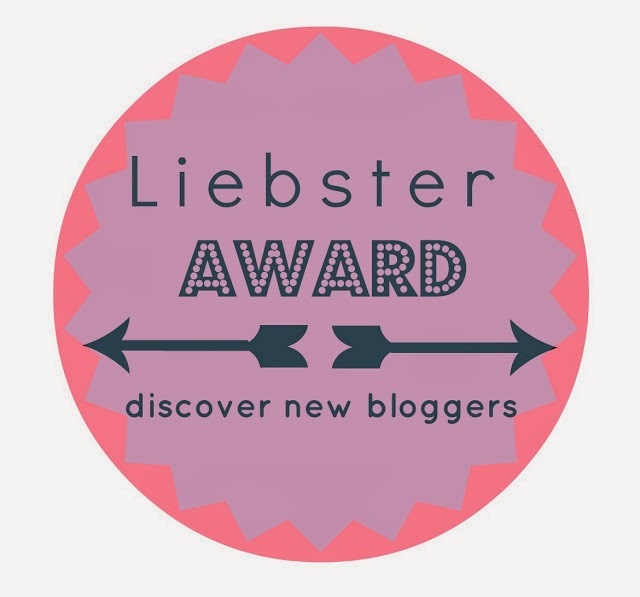 The Liebster Award isn’t actually an award, but a way for bloggers to share more about themselves… it’s fun! You’ve got to visit their blogs… I read them every day!! Ok, now on to the fun… the way it works – Once you accept the nomination, it is customary to list 11 things about yourself, answer the 11 questions given to you by the person who nominated you, and then to continue the series by picking 5 nominees and asking them 11 questions. So here we go… 11 Facts About Me! 1. I don’t like chocolate (yes, you read that correctly – I am a vanilla girl!). 2. When my husband and I were dating in undergrad, he would fly to see me almost every weekend (that’s 3 flights one-way, people: Tallahassee -> Atlanta -> Detroit -> Lansing). 3. I am terrible at spelling, and my sweet husband loves to remind me of this when we play scrabble or other word games. 4. The have met the majority of my New Mexican friends through my dog, Scout. I pretty much lived at the dog park before I started working. 5. I love, love, love pretty paper and stationery. 6. I haven’t colored my hair in 6 months… this may not seem like a long time to some people, but before moving to New Mexico I was an every 6-8 week kind of girl. I feel like a little piece of me is dying every day, but boy oh boy, I sure am saving money (we will see how long this lasts…). 7. I could eat my weight in wasabi almonds (the Girl Scout ones are the best). 8. I could probably eat pizza all day, every day, and I do not discriminate – cheap pizza, expensive pizza… I like it all! 9. There is nothing like a good manicure to make me feel alive again! 10. My favorite Bible study is Pricilla Shrier’s Gideon… this study is awesome!! 11. 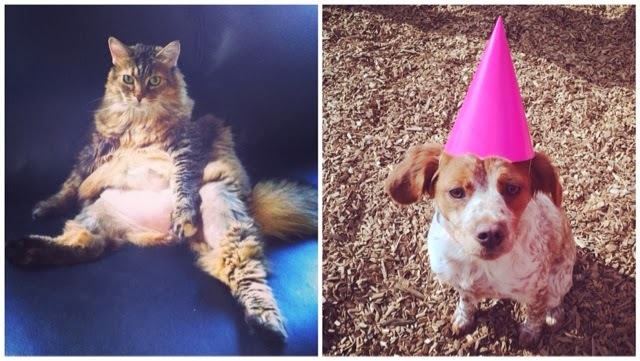 I am pretty sure I have the prettiest kitty and cutest puppy in the entire world. Since I was nominated by 3 people, I split up their 11 questions so that I wouldn’t have to answer 33 questions… that seemed like a lot to me! 1. What do you do for a living? I work as an analyst at the University of New Mexico in the Human Research Protections Office… Basically, when people want to conduct clinical trials and research at the University, they submit their IRB applications to our office. 2. 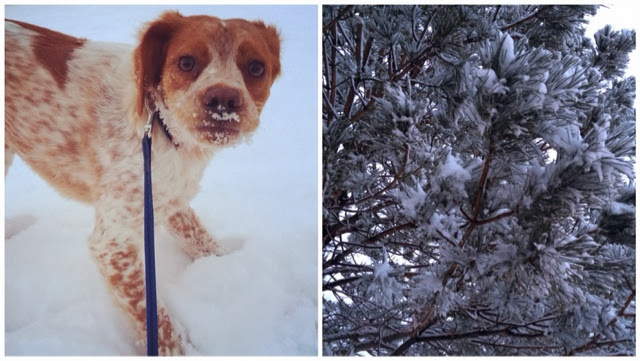 How do you feel about snow and cold weather? Love it? Hate it? I don't mind snow in December, but I'm not into it post-Christmas. Despite having moved to New Mexico, I still have to deal with the snow – I just don’t understand! Speaking of snow, it has been snowing off and on for the past 3 days. Very confusing, I know. 3. If you had to be one animal for day, what would you be and why? This is a lame-o answer, but I would definitely be a lion so I could lay around in the sun all day… While wearing sunscreen, of course! 4. When and where do you feel most creative? I usually feel most creative while perusing Pinterest or walking through Hobby Lobby. When it comes to actuallllly being creative, it’s usually 3 am, and tears may or may not be involved depending on how the project turned out. Just kidding (kind of). 5. What is the best meal you have ever eaten? There is a restaurant in Ann Arbor called Gratzi and they have the most amazing yellowfin tuna… I mean, I dream about this – so yummy!! 7. What has been your favorite adventure? My husband and I have adventures almost every weekend (which are my favorite! ), but my most notable adventure was when I lived in Durban, South Africa for six months in undergrad. 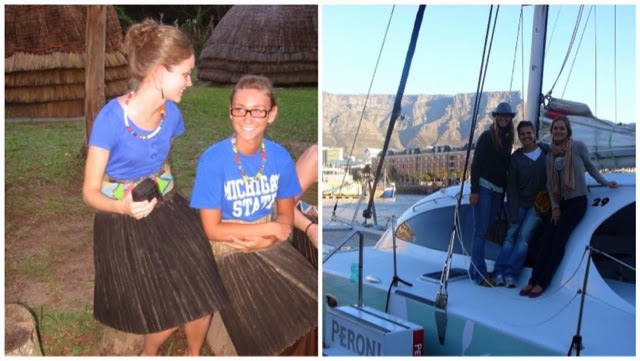 I was an exchange student at University of KwaZulu-Natal, and I was able to do some awesome traveling – and there is nothing that bonds friends like travel! 8. Do you still live close to family? The majority of my family lives in Minnesota… about 1225 miles away! My husband has family in the DC area (about 1890 miles away…), but his mom lives in Rio Rancho (about 30 miles away) so we do have some family in the area. 9. What is a movie you could watch over and over? Father of the Bride – need I say more? 10. Coffee or Tea? Actually, neither… unless it is a chai latte – so I guess maybe that is tea. I’m pretty sensitive to caffeine, so I am mostly a water girl! 11. If you were going to be on a reality TV show, which one would it be? This one is easy… SURVIVOR! I grew up watching Survivor with my dad every Wednesday night, and I still will catch an episode every now and then with John. and follow them on Bloglovin’ - you will be happy you did! And 11 questions for you girls!! 6. What is the last thing you watched on TV? 8. If you could have any super power for a day, what would it be? Lisa- thank you, thank you!! I will get to answering my questions ASAP, I loved learning more about you and can't wait to work more with you! Wasabi almonds?? LOL I heart you! Thanks for nominating me!! :) We are alike in so many ways, loved reading your answers! Congrats on the award! Love your blog!! I'm not a fan of chocolate either! This was awesome news to me, as everyone I've ever told goes into complete shock. Loved your answers to the questions! Have a great weekend! GIRL. Father of the Bride?!! Yes please!! I can quote that entire movie!! And I so feel you on the creativity. I like to think I'm more crafty then I really am...and it definitely ends in tears at 3 am! And I'm super jealous of your time in South Africa. What an amazing opportunity! I work with a girl who was a nurse in an orphanage in Mozambique and I just love hearing her tell stories!